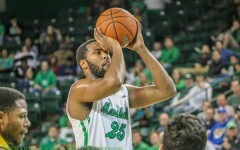 Marshall University’s men’s basketball team snapped a nine game losing streak Saturday and won its first Conference USA contest of the season, 78-71, over University of Texas at El Paso in the Cam Henderson Center. 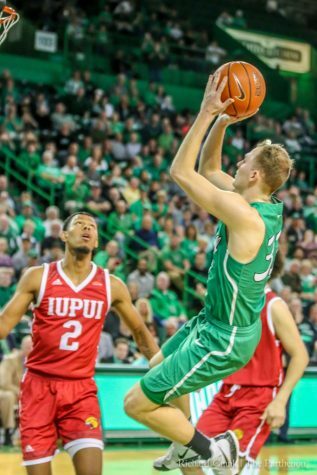 The Thundering Herd’s 42 first half points were the most in any opening period since Dec. 16, its most recent victory against King University. 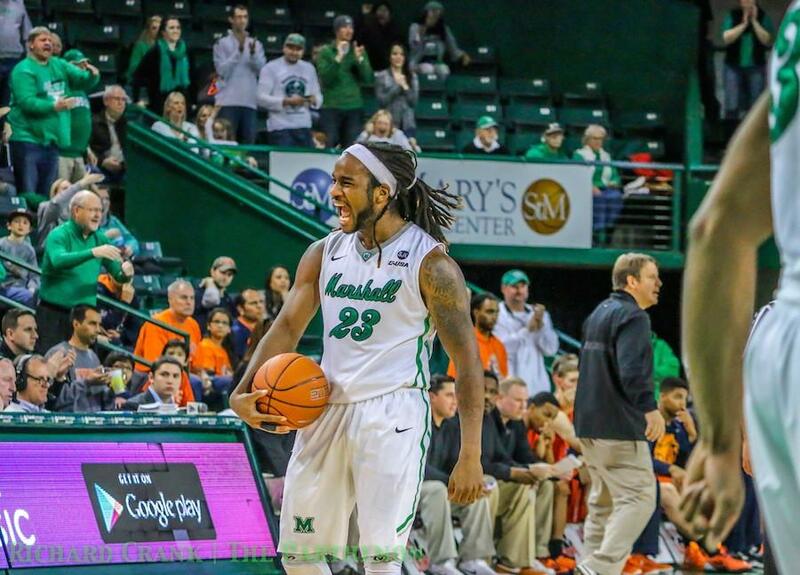 The three point Herd advantage at intermission marks the first time the Miners trailed at halftime since Dec. 19. Early in the first half, junior guard Justin Edmonds fell on his right knee, which suffered a torn ACL and fracture keeping him sidelined for the entire 2013-2014 season. Edmonds stayed in the game, however, and followed his hard fall with four three-pointers in six attempts before halftime. Edmonds finished with a career high 20 points but credited his teammates for getting him going. 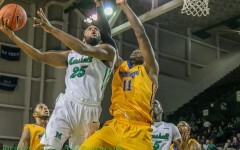 Senior center JP Kambola made his first start since Dec. 1 and produced an impressive stat line with 13 points, nine rebounds and two blocks. 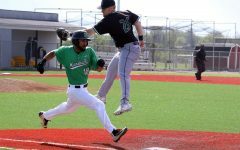 Kambola lead consecutive second half surges in back-to-back games. 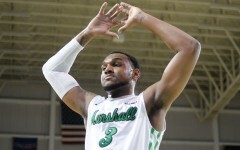 He scored six of Marshall’s first eight points out of the half Saturday, including two dunks. 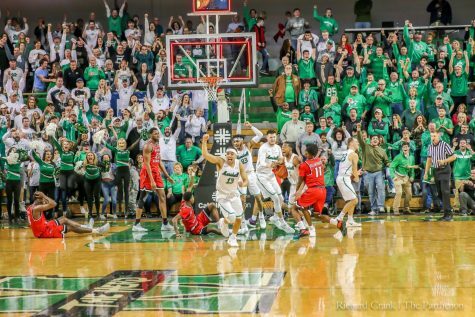 The Miners took a 66-65 advantage with 5:53 left in the second half only to watch as sophomore forward Ryan Taylor scored 10 of the Herd’s last 11 points to seal the victory. 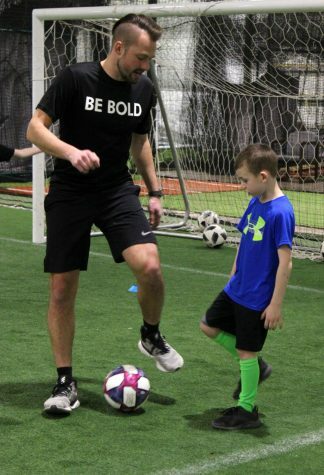 “Coach tells me to be a leader on the court even though I’m (only) a sophomore,” Taylor said. 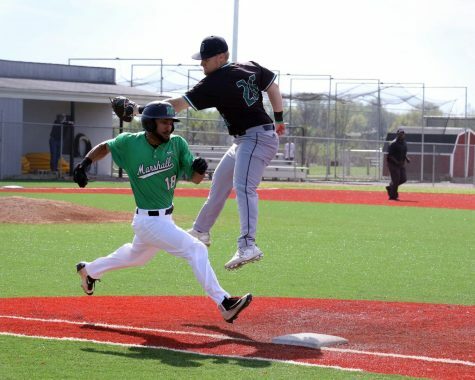 UTEP fell to 12-7 and 4-3 in the conference with the loss while the Herd climbed to 5-15 and 1-6 in C-USA. 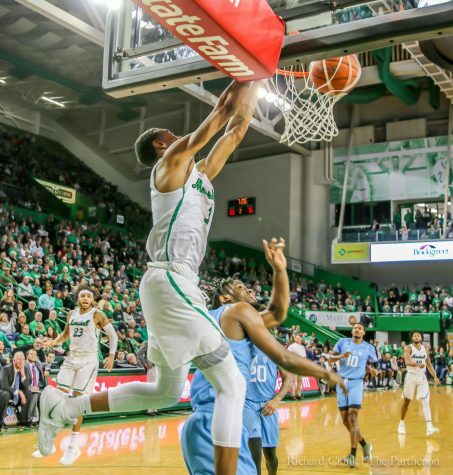 Marshall will travel to Hattiesburg, Mississippi, to face Southern Miss Thursday and continue its road trip in Ruston, Louisiana, against Louisiana Tech Saturday.